Stand up straighter and shine brighter! Mo Sheng searches high and low and finally locates the original photo that was photoshopped. She tries calling Xiao Xiao, but no luck so she calls up Yi Chen to see if he can locate Xiao Xiao. She explains the situation to Yi Chen, and he lets Mo Sheng come over to show him and Xiao Xiao the photos. Mo Sheng gathers up the printed pictures and heads over. Afraid that Mo Sheng will leave the documents with the receptionist again, Yi Chen waits for her at the front. He leads her up the stairs, and she gives the pictures to Xiao Xiao’s manager. Yi Chen suggests that they sue the biggest magazine company instead of all of them because it’s not good for Xiao Xiao’s career if they go too far, but they can’t act like nothing happened. Mo Sheng tries to comfort Xiao Xiao, but Xiao Xiao wonders the reason behind helping her. Mo Sheng says she didn’t put the contract case in her heart which actually incites Xiao Xiao to question what does she put in her heart, because it’s obviously it’s neither Xiao Xiao nor Yi Chen. Yi Chen tries to interrupt, but Xiao Xiao says if Mo Sheng had not left she would not become like this because when she was down she had no one to turn to. Mo Sheng apologizes, but Xiao Xiao says she is the one who should apologize. Xiao Xiao tells Mo Sheng that it doesn’t matter they found the originals because some people will never believe it. Every now and then people will pull out these pictures and mock her all over again. Mo Sheng says people who support her will always believe her and that’s all that matters. Xiao Xiao finally agrees, and says she will do better for those who support her; she will stand up straighter and shine brighter. Mo Sheng comments that the most important thing is that she is happy and doesn’t force herself. Xiao Xiao pulls Mo Sheng into an embrace and confesses that in this entertainment circle there are so many bad things left and right. Mo Sheng asks Xiao Xiao why she became a model and what happened over the years, but she declines to answer. Mo Sheng gets on the bus and all the memories flood her all over again as the song “Long Time No See” plays in the background. Just then we notices that a white car suddenly appears beside the bus as the two vehicles drive through the campus. Whose car you ask? Give you one guess! Mo Sheng misses her stop completely and she has no choice but to get off at the last stop. Wait, why couldn’t she just go back with the bus?? Of course, it is so she can meet Yi Chen! She gets in his car and he tells her he followed the bus because he saw her get on the wrong bus. She asks why he didn’t call and tell her, and he replies its because he wants to see when she will realize her mistake. He comments that she is just like she was in college and then reminds her to BUCKLE UP! Yes, buckle up. It is media conference day! Xiao Xiao’s manager scolds the media for passing on false information and Lawyer Liu announces that they will sue. Xiao Xiao thanks her supporters for her courage and says she will stand up and fight. Oh, and Xiao Xiao is not suing Treasure anymore. Yi Chen even calls Mo Sheng to confirm this. I know you just want to call her and hear her voice! Xiao Xiao’s career totally skyrockets! As a result of the scandal, she has gotten a lot of new cases and big contracts. Coincidentally, her manager needs a new photographer to fill a slot and he asks about Mo Sheng, so she calls up Mo Sheng. They make up plans for dinner and Xiao Xiao overhears Yuan Feng’s voice. Mo Sheng defends Yuan Feng and tells Xiao Xiao that Yuan Feng is the one who posted on the forum with all the information. Xiao Xiao relents and says to invite Yuan Feng to dinner too then. Immediately after Xiao Xiao calls up Yi Chen and invites him to dinner. He says it’s too early to thank him since he hasn’t submitted the case yet. 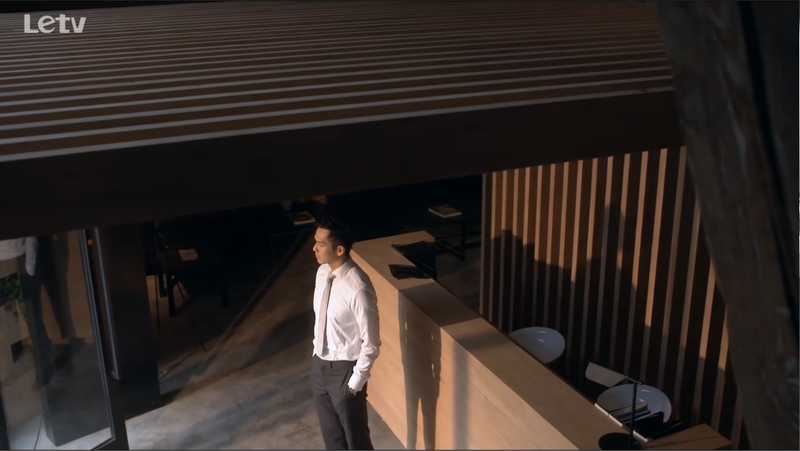 So she tells him Mo Sheng is invited too and Mo Sheng is bringing her co-worker, “who knows what kind of relationship they have?” Yi Chen immediately asks what time is the dinner and where. Oh Yi Chen!! Yuan Feng doesn’t really want to come to the dinner, but he shows up anyway. Once they arrive, Mo Sheng is surprised to find Yi Chen is there as well. Right after they sit down, Yi Chen asks for an introduction and Mo Sheng explains Yuan Feng is her co-worker is all and Xiao Xiao invited him. Yi Chen is happy to hear Xiao Xiao is the one who extended the invitation. 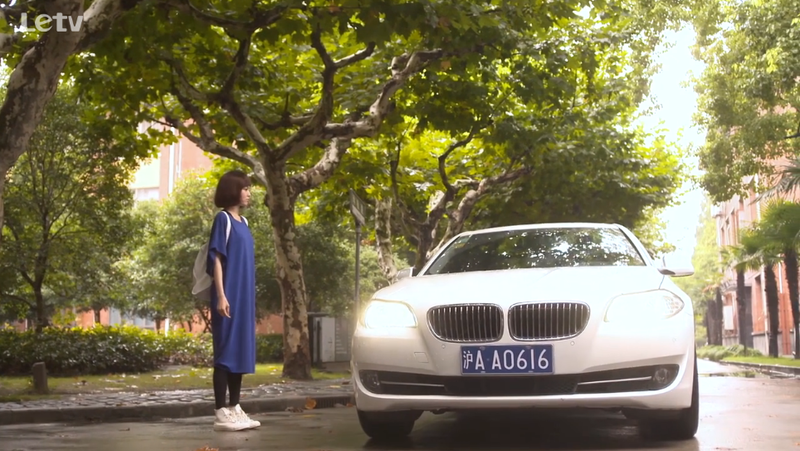 Yuan Feng identifies himself as the one Yi Mei ran over. Yi Chen says now that the case is over, Mo Sheng should not call him Lawyer He anymore. Yuan Feng asks for their relationship…. and…. Yi Chen says “she’s my ex-girlfriend” just as Mo Sheng says college classmates. Xiao Xiao comes over and immediately starts to argue with Yuan Feng, from what to order to her love life etc. In a moment of anger, Xiao Xiao accidentally pushes over a hot cup of water the waitress brought over. Xiao Xiao gets burnt and they all go to the hospital together. Luckily it wasn’t anything bad and all Xiao Xiao needs to do is put on some medication. Right away Xiao Xiao and Yuan Feng start to fight over how unapologetic he is. 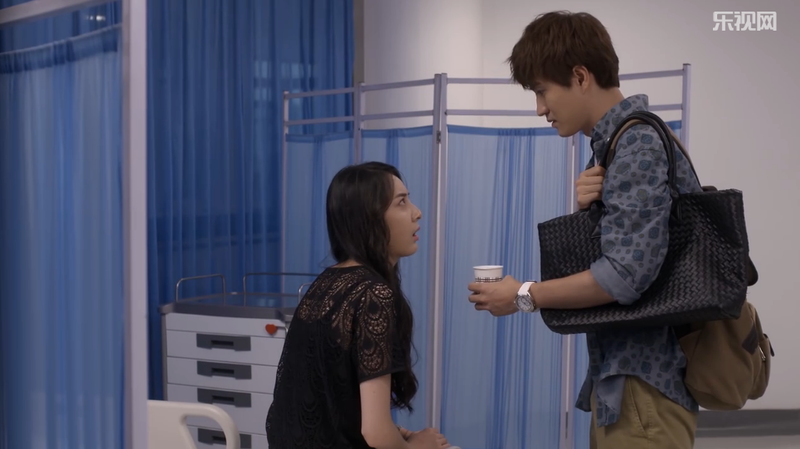 Yi Chen stops Mo Sheng from following Yuan Feng and Xiao Xiao to the pharmacy. Yi Chen says its better to let Yuan Feng take care of Xiao Xiao because they will make up more that way. They look over and Xiao Xiao is already picking on Yuan Feng about the temperature of the water he brought over. Yuan Feng asks how will she stop picking on him, and she ropes him into taking outdoor photos for two days for free. Good deal! Yi Chen and Mo Sheng depart the hospital. He asks how she’s getting home, if it is by the bus, and she says yes. He tells her he is going to the parking lot, but reminds her not to get on the wrong bus this time. 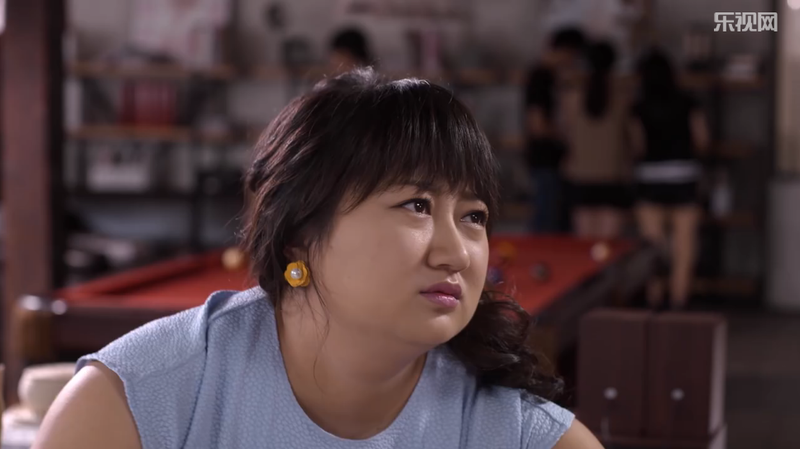 The next day, Xiao Hong ropes Mo Sheng into going to a blind date with her. She explains that this is not Mo Sheng going on a date, this is helping her get married! So Mo Sheng has no choice but to go. Xiao Hong even pulls out some props to “uglify” Mo Sheng in order to bring out her beauty. Yi Chen also has a dinner date at the restaurant below Treasure. Could it be??? Mo Sheng calls Yi Chen “Lawyer He” on the phone. Yuan Feng is worried that Xiao Xiao will be even worse in the future now that she has flipped a page. Mo Sheng says she will take him out to dinner to repay him, and he says he still feels stuffy that he had a hand in helping Xiao Xiao. Lol. A prosecutor calls up Yi Chen to set him up on a blind date with his niece. Yi Chen tells him he has a girlfriend, but the prosecutor doesn’t believe him, so Yi Chen says it happened recently and the girl just returned from U.S. Cough, Mo Sheng, cough. Yi Mei tells her cosmetologist that not letting someone go is a childish thing to do, because if someone likes someone else she should learn to wish them happiness. Yes! Go Yi Mei!! !